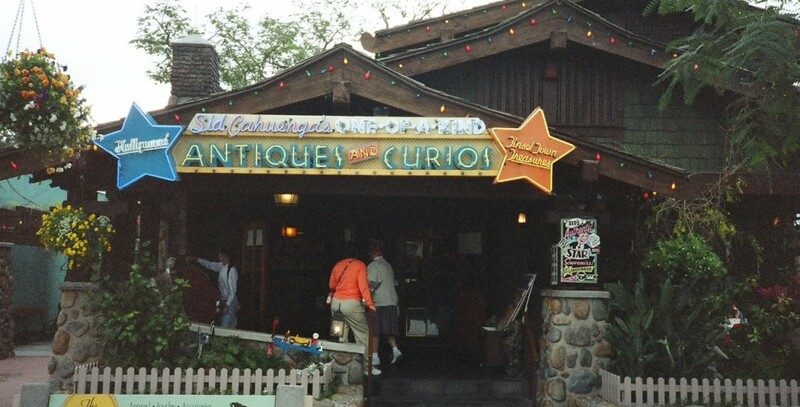 Sid Cahuenga’s One-of-a-Kind Shop on Hollywood Boulevard at Disney-MGM Studios that sold movie memorabilia; opened May 1, 1989. The shop’s buyers scoured the memorabilia auctions and sales to find interesting items to sell in the shop, whether it was a movie star’s autograph or a costume or a prop from a film. Occasionally, there would be an authentic Walt Disney autograph in stock, priced well over a thousand dollars, and there were stills, posters, and press kits from Disney movies of the past. The shop closed on November 16, 2013, to become a MyMagic+ service center.